The BARTEC INSIGHT customer magazine provides an in-depth look into the world of explosion protection in compact form. Marcus Eisenhuth (on the right) and Heiko Laubheimer aim to boost BARTEC’s impact and profile. A global player that serves its customers and protects people and the environment. BARTEC offers an array of individual solutions and components in every stage of coal mining: as single device, for the integration in existing systems or as a complete electrotechnical system. 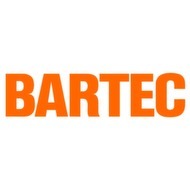 BARTEC designs and manufactures electric motors and electrical equipment for safe and reliable solutions in power, lighting, control and monitoring applications. Orbit X - Making mobile work safer and more efficient. BARTEC online analyzers and measurement technology continuously provide the relevant process parameters, ensuring optimum process control. In this way, the systems secure the quality of production results in accordance with applicable standards and product-related specifications. Together with the FDT Group and leading automation manufacturers, BARTEC is constantly working on mobile solutions for diagnosing and parametrising field devices. As the world market leader for Ex markets, BARTEC was first on the automation market with hand scanner solutions and graphical colour display stations. Today’s portfolio consists of a complete range of enterprise mobility and automation technology to serve customer needs. BARTEC offers a full range of explosion-proof lighting solutions for the widest possible range of applications from a single source: Individual lighting, floodlighting, compact lights, and emergency lighting. BARTEC designs and manufactures customized solutions for the distribution of energy for industrial applications and mining. BARTEC develops and manufactures electrical motors and materials for safe drive technology, control, and monitoring solutions. For hazardous areas and particularly harsh environments, BARTEC offers one of the most extensive ranges of explosion-proof and protected media components, devices and systems for controlling, switching and connecting.